injectors for a hercules in a BD cletrac. 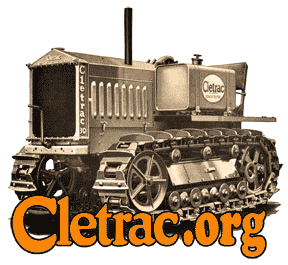 Cletrac.org > Cletrac Tractor Discussion > Subjects Related To All Models > injectors for a hercules in a BD cletrac. Re: injectors for a hercules in a BD cletrac. Almost any rings can be purchased from Hastings Piston Ring's site. Get the numbers off of the injectors. I doubt if the Mazda ones will work as an assembles as the Hercules are a pintle type. Many older Mazda diesels were Perkins design with pintle injectors. One example is the 2.2 liter diesel that came in the USA Ford Ranger. I have no idea if those injectors fit any Hercules though. Mazda used that Perkins 4-135, 4-154, and 4-182 (same as used in many cars and tractors). 1960s Jeep and Checker also had them.